The weekend edition of the Today Show in Australia. Booklist calls Seven Letters from Paris "a passionate, romantic, spring-in-the-step read." "I recommend this memoir as a great read; a read with the motto 'Follow your heart' and 'Believe in your dreams', because you never know where the whirlwind of excitement may end." 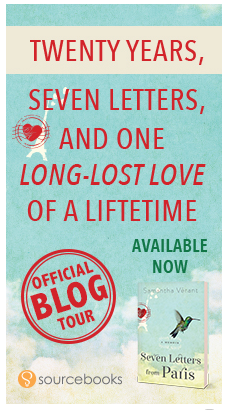 ChickLit Club's full review of Seven Letters from Paris can be found here. twenty years in the making. The best part? It’s true!" 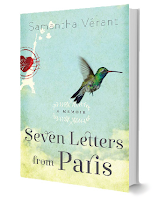 Chick Lit Central's full review of Seven Letters from Paris can be found here. "Fairy tales come true in Samantha Verant's utterly winning debut memoir. Effervescent, enchanting and wise, Seven Letters From Paris is a paean to second chances, the power of hope, and the risks real love requires. A romantic page-turner." ~ Christina Haag, New York Times bestselling author of Come to the Edge: A Love Story. "Inspirational and heartfelt, this book illustrates that it's never too late to change directions in life. 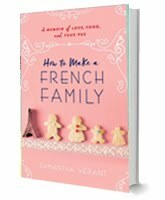 Verant's story reveals how having the courage to follow your heart and a take a big leap when you're feeling stuck can put you on the path that you're truly meant to be." ~ Holly C. Corbett, national magazine editor and co-author of The Lost Girls: Three Friends. Four Continents. One Unconventional Detour Around the World.